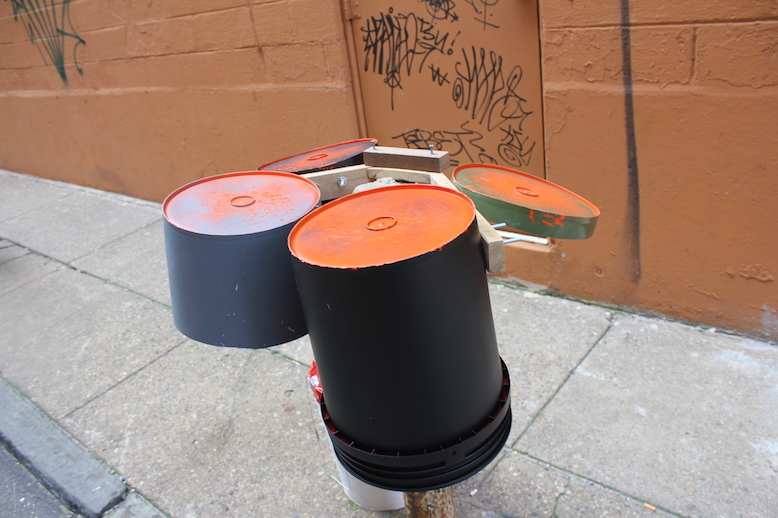 Made in collaboration with Jebney Lewis, Molly Emerman, and Philly Youth Workshop. 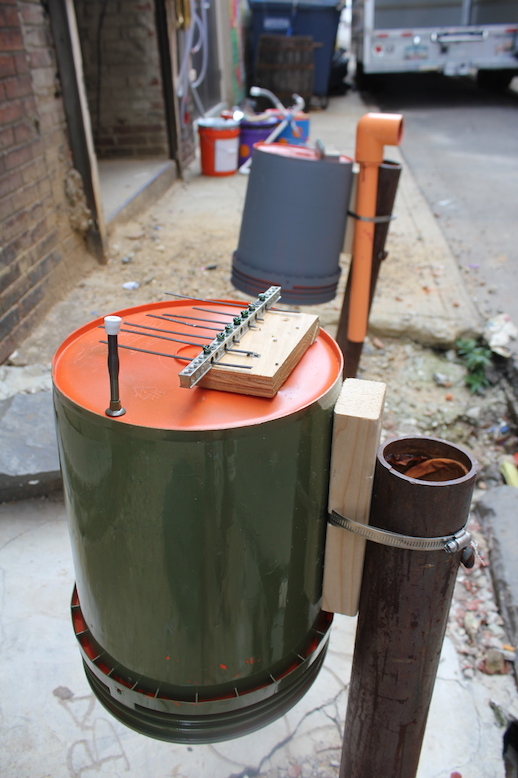 As a part of Asian Arts Initiative's Social Practice Lab, we worked with local students, neighbors, and artists to build invented instruments made from found and recycled materials from the neighborhood. 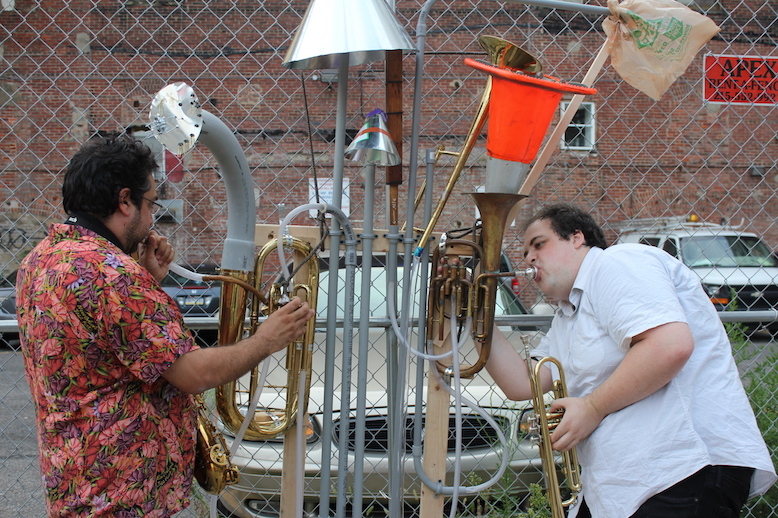 We installed these instruments in the Pearl Street Alleyway, culminating in a series of informal concerts and a community potluck. 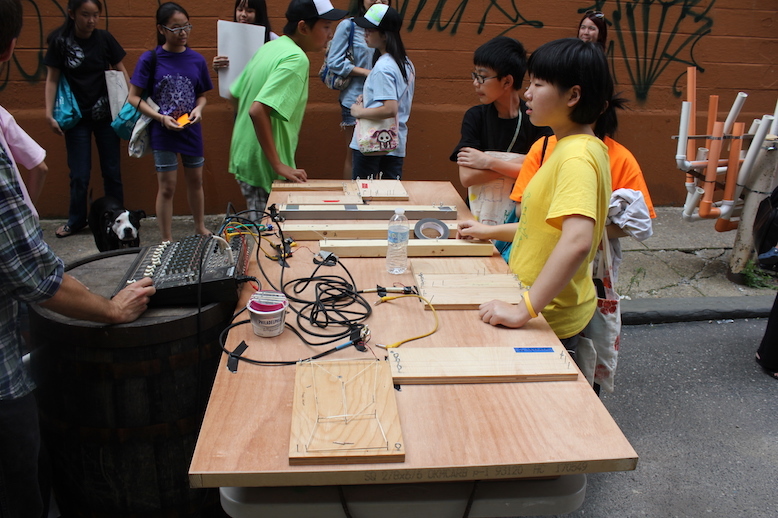 This project was supported by ArtPlace.